High temperature bearings from the structural process can be divided into: general structure of high temperature bearings and special structure of high temperature bearings. High temperature bearings are widely used in metallurgy, kiln, glass, blast furnace, painting equipment and other high temperature operation machinery. Ordinary structure High temperature bearings: mainly refers to the commonly used bearing structure, the use of high temperature materials such as high temperature bearing steel, the design of the bearings, mainly high temperature self-aligning ball bearings, high temperature deep groove ball bearings. High-temperature self-aligning ball bearings: in the two raceway inner ring and raceway for the spherical outer ring, equipped with a guide from the two columns of the ball. Self-aligning ball bearings can withstand a large radial load, but also can withstand a certain axial load. Bearings with stamping steel cage, high-quality white high-temperature grease lubrication, can be used for -40 to +300 ℃ temperature environment. Can meet the working conditions within 300 ℃. 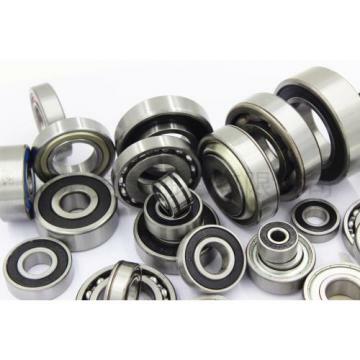 Bearings are usually produced according to ordinary tolerances, and the clearance is much larger than ordinary bearings, so it is usually not suitable for high-speed operation. But usually in 100 r / min speed long-term operation. High temperature deep groove ball bearings: no retainer inside, only the rolling body composition; to meet the working conditions of about 300 ℃, according to the general level of tolerance production, and clearance is much larger than ordinary bearings, it is usually not suitable for high-speed operation, Speed bearings, usually in 200 r / min speed long-term operation. Special structure High temperature bearings: not only materials using high temperature materials, but also from the structure to achieve high temperature environment, automatic clearance clearance, such as coil spring bearings. Imported high temperature bearings can not only work in high temperature and high pressure, to withstand high temperature corrosion; also need to have non-magnetic, wear and long life, high reliability characteristics. In addition, also requires imported high temperature bearings with the drive mechanism in the impact, vibration, tilt, swing and other special working conditions for the operation of imported high temperature bearings work environment and conditions are quite demanding. In normal operation, the bearing can not appear stuck and noise anomalies, while imports of high temperature bearings need to withstand the impact of vibration, shock and other factors, bearing materials used must be resistant to wear, non-magnetic, corrosion resistance. According to the special conditions of imported high temperature bearings, ferrule and ball materials should have high temperature, corrosion resistance, wear resistance, non-magnetic characteristics. It is recommended to use the ferrule material as G52 # alloy, the ball material is Si3N4 or the cermet.